Xiaomi today launched Redmi Note 5 in India. Xiaomi Redmi Note 5 comes with Snapdragon 625, 12MP Rear Camera. 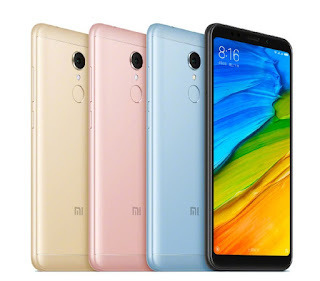 Xiaomi Redmi Note 5 comes with 5.99-inch Full HD+ ( 2160 × 1080 pixels ) Display Powered by 2.0GHz Octa-core Snapdragon 625 Processor coupled with 3GB RAM with 32GB storage and 4GB of RAM with 64GB of storage which is further expandable with MicroSD card.Dual SIM device runs on Android 7.1.2 with MIUI 9.2. On Camera, it has a 12MP Rear Camera and 5MP front camera It comes with Metal body, Fingerprint Scanner on the Rear. Packed with a 4000mAh Battery.